These are two “time-lapse” collages made from various images of a camera trap. This small camera is installed at a small waterhole in the western part of Thanda. 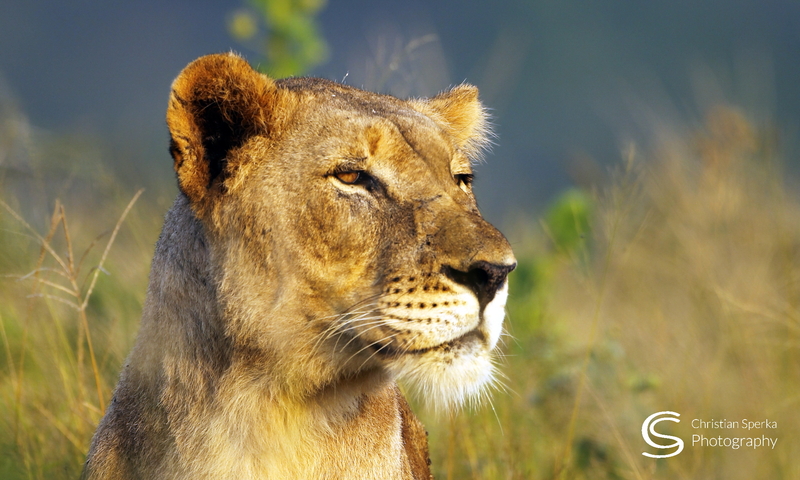 We have identified many different species drinking at day and at night (including Lion, Hyena, Nyala, Zebra, Kudu, Impala, Warthog, Giraffe, Wildebeest, Elephant). 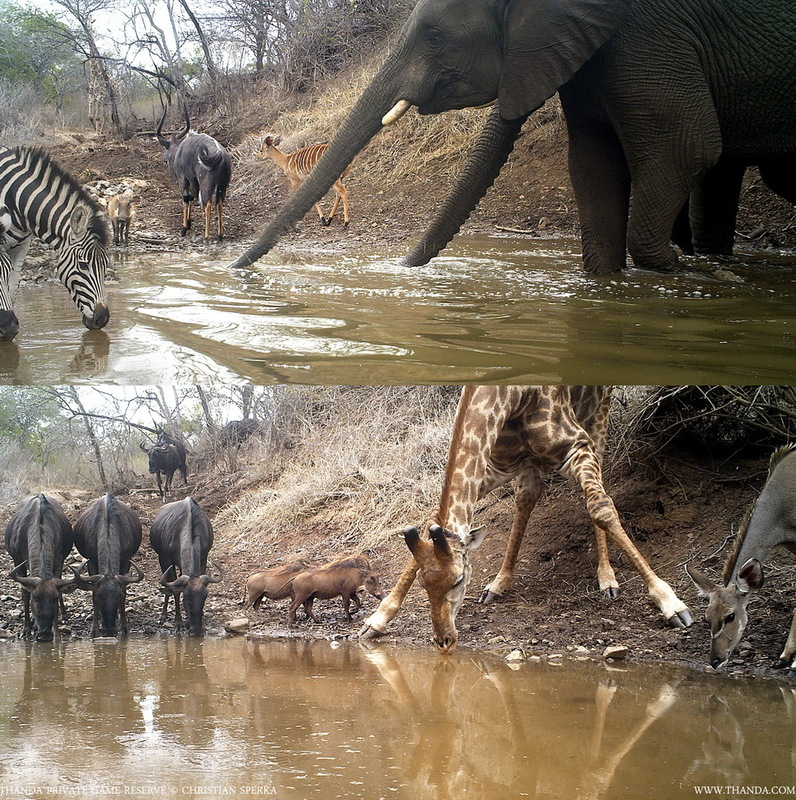 The camera trap will stay in place for a little while longer – we may catch more Thanda residents having a drink! Nice collage. What are the animals to the left of the giraffe? Awesome to see such a variety of animals together. What kind of camera are you using? Such clear pictures. Previous PostPrevious Kings and Queens! Next PostNext My first week!